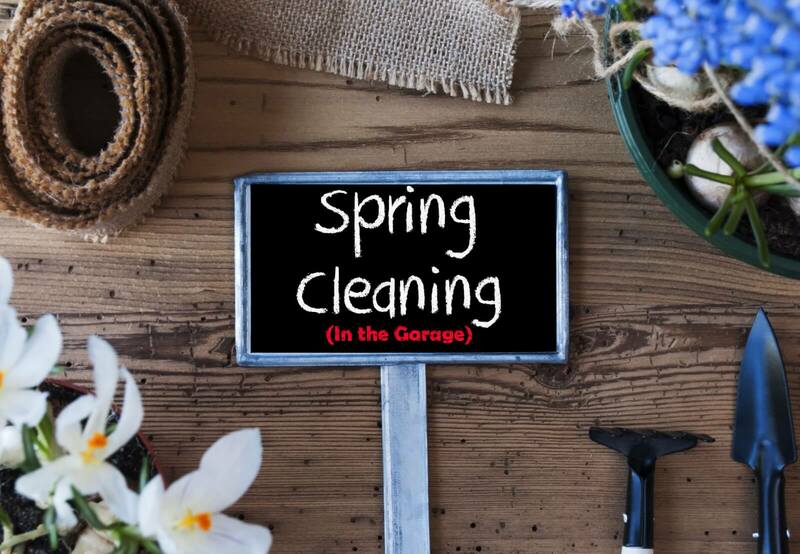 The purpose of this series is to help you get your garage organized. This post is actually not about garage flooring. 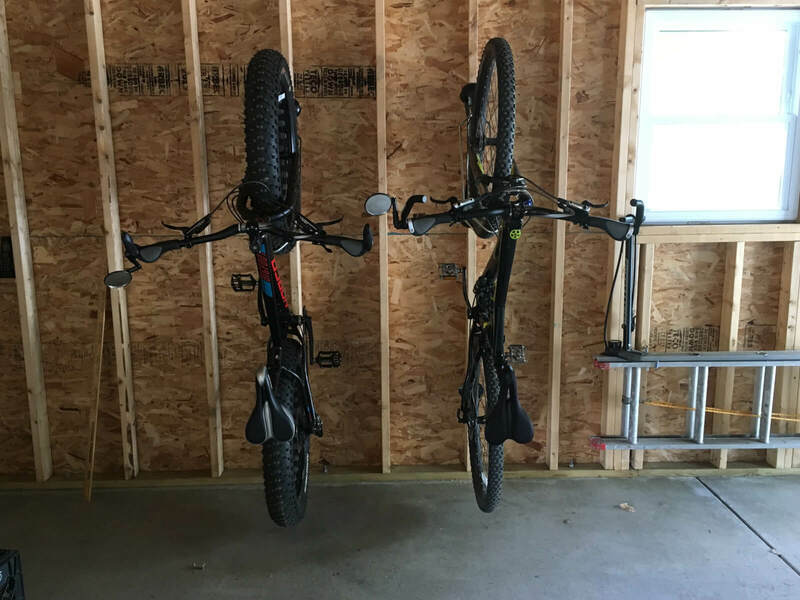 This is about organizing your garage. Different customers will install garage flooring at different points. Our suggestion is to cut around any permanent fixtures and go under any temporary fixtures. Whats Up: Unless You Have Overhead Storage, the Answer is Probably: Nothing! We sell every type of garage storage and flooring system imaginable. Truthfully, one of the lease expensive and quickest ways to make a difference in your garage is overhead storage. This is where I would start and garage organization process. Why? Typically you do not need to empty out your garage or move a whole bunch of items. Just leave enough room for your ladder and you are set to go. For me, I use overhead storage for items that I really don’t need that often. Examples include Holiday decorations and in our family camping gear and suitcases. If you use some of those items more often than another storage solution will make more sense for that type of item. Safety First: Never install more overhead storage than your structure can support and never put more on a set of trusses than the manufacturer recommends. How Many: The answer to that question really depends on the layout of the garage. The first area to look at is over the garage door. 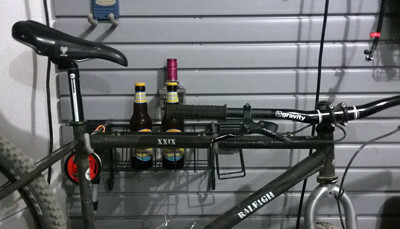 If you added storage racks above the door, would there be enough room for storage. If the answer is yes, then add a couple over the door. 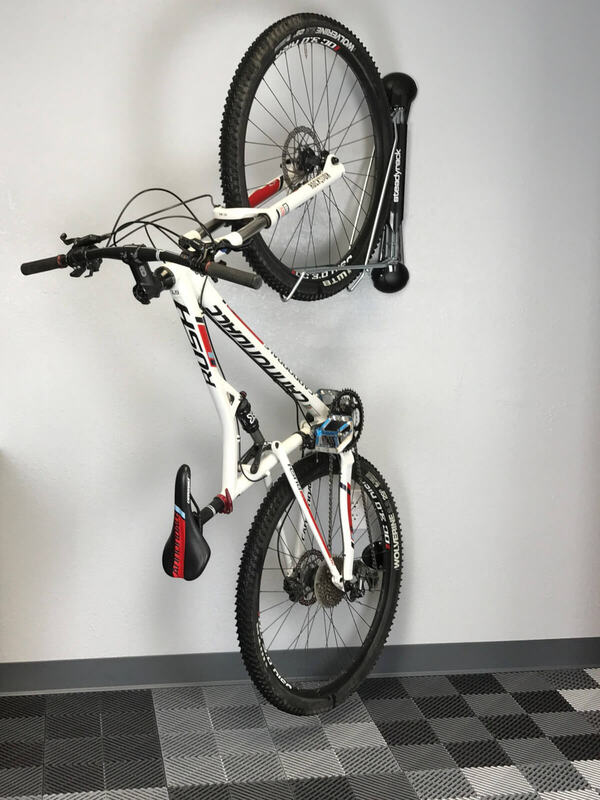 If you have less than 24″ it almost definitely won’t make sense, so look at areas of the ceiling that are not covered by the garage door when the garage is open. 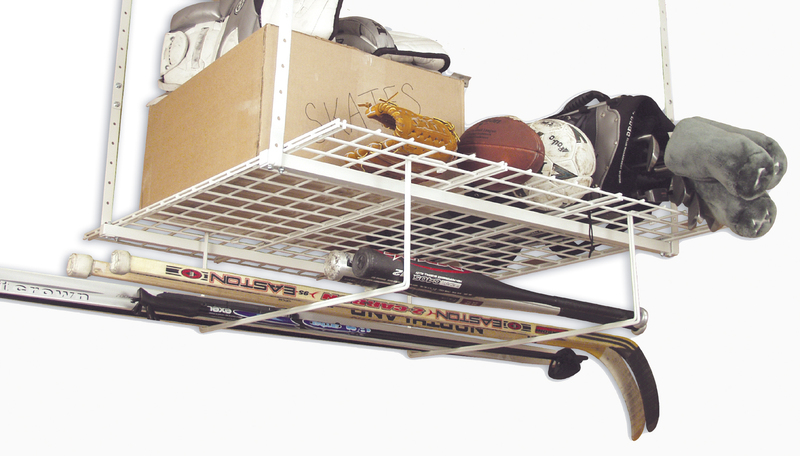 Don’t go crazy with overhead storage. 2-4 units is usually more than enough for the average garage. Storing too much can be structurally unsound and storing items you need regular access too can be to inconvenient.